Just Space has a new – permanent – website. This old one will remain available as an archive of important material relating to the 2011 London Plan. New material is now on the new web site. Transfer to the new Just Space site On the new site you will find Just Space observations and objections to the Mayor’s changes to the London Plan which include a major weakening of social housing provisions. Full details there about the public hearings in November 2012 and subsequent decisions. THE LONDON PLAN HAS BEEN REWRITTEN by the Mayor, Boris Johnson. This web site documents Just Space Network and its activities in 2009-11 in trying to influence the London Plan. Activities of the Network in 2012 onwards a new, parallel, site – linked from the top of this page. Mayor’s 20 year development plan for London will increase polarisation of London’s communities says Just Space. This planning strategy sets out how London will be developed over the next 20 years. The 32-day Examination in Public (EiP) of the London Plan ran intermittently from June to 8 December. The Panel which examined the draft plan reported in early February 2011. [ more ] It was finally released by the Mayor in May 2011 [ download here ]. The Just Space Network, in cooperation with students and researchers across London’s universities, held a conference on 9 June to assess achievements and to debate how best to develop the colaboration with universities. Read more about the conference. 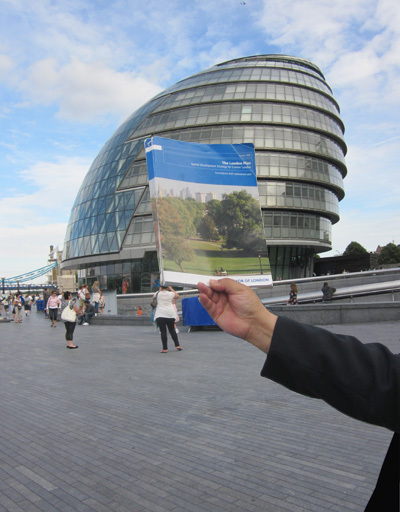 Just Space is an alliance of community groups, voluntary sector organisations and special interest groups taking part in the EiP to press the GLA to improve the Plan, to make London a fairer and more environmentally sound city. The rest of this page is material from earlier in the process. Students at UCL are helping in the production of a written record of the EiP, working from audio recordings. The audio recordings and texts (as they become available) are here. The London Gypsy and Traveller Unit sends this 2-page update on the situation up to January 2011. [22 april] Just Space is committed to increasing the number of community groups who are participating at the hearings. We have produced a table of community groups that have been invited so far and in bold we have identified sessions where more representation is clearly needed (JSsummaryList100422). By the deadline 27 April no fewer than 60 submissions had been lodged from Just Space organisations, calling for changes to the topics and/ or for better representations. These submissions can be seen here. Good response: the panel secretariat, responding to submissions by the Haringey Federation of Residents Associations, writes “… I can assure you that the inspectors took on board the comments about the perceived imbalance of participants and are looking to include more voluntary and community sector groups in the final list of participants, as well as acknowledging the important role that can be played by umbrella groups such as the Just Space Network….” Read more. In May 2010 the GLA publishes a paper justifying its practices in not exploring radically different scenarios in its planning, or investigating radical alternatives. The paper is linked here. On its second day, this site has had 190 visits by 1800h. Do bring it to the attention of individuals and groups who may find it helpful. Good news! Ken’s London Plan was too geared for boring developments which all looked the same, paving the way for high-rise flats as iconic “gateways” to some pretty rundown areas. Urban planners and space designers should be brought in to improve London’s spaces. Hello, any thoughts on other issues you might get involved in once the EiP is put to bed? We have communities under threat of the worst kind of ‘de-generation’ in North Ken and we need all the advice and support we can get. The billionaires are coming, and they mean business. I am now extremely worried about the new planning changes nationwide which will make the job of representing local oppinion even harder. What we have to battle for is a definition of the much over-used word ‘sustainable’. Not sure that its a relevant word for what is planned by Tesco and the like now they have been given a presumption of development. A requirement to justify the ‘need’ will be seen in hind sight as a pivital turn where retail planning by the big boys suceeded in killing off the independents left with no protection. In Yiewsley where we battled Tesco superstore for 14 years we lost stores every year when leases came up for renewal. Absentee landlords refusing to give an inch and the threat of Tesco continuous. Even when you win at appeal they just keep coming back. The result though was a store which only had twenty people at its opening ceremony and continues to be very underused. The Morrisons in town actually increased its sales since the Tesco in town was forced to close when the new store opened. Why oh why can’t the people be listened to – who is planning for? Its used to be the people now its just the bullies with the clout!